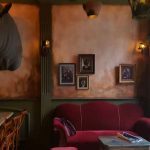 On Monday December the 18th, L’Anticafé Strasbourg will open its doors. It is a very fresh and new kind of coffee shop, where you pay for the time you spent, and not what you consumed. We cannot wait! For 5€ an hour, 24€ a day or 240€ a month, the client accesses a spacework, where to meet people and chill, provided with products and services in a self-service configuration. L’Anticafé is the meeting point of three different worlds: coffee shop, coworking space and home. There you’ll find conviviality and warmth of coffee shops, but quiet, work atmosphere like in coworking spaces without their impersonal aspect, and comfy freedom just like at home, but not alone. 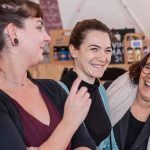 Christèle Vaast, originally from Britania, and Thierry Milone, originally from Alsace, had chosen Aix and Marseille as their adopted city, before deciding to come back to Strasbourg to launch L’Anticafé adventure. At the beginning of Grand Rue, a few steps away from the Cathedrale, the place is very central and open on the agglomeration in order to target a very eclectic audience: creatives, independants, entrepreneurs, students, anyone looking for an alternative place where to share, meet, create or just spend some good times. L’Anticafé totally finds its place in the present tendency of new independant workers, freelancers or employees looking for alternative, optimistic spots, people with new cultural projects seeking inspirational places, and globally, anyone who is curious about trying new ways of consuming, related to collaborative economy. Examples of what you can find there: optical fiber, hot and cold drinks, sweet and salty snacks, board games, but also books and newspapers, printer, video projector, screens and a white board. Geteatout is a stress-free, Strasbourg-based, all-you-need-to-know-while-here blog. Created in November of 2016, it originated with epicureans, friends, travelers, people with an insatiable thirst for discoveries, and above all a love for Strasbourg. Our purpose is simple : we want to offer you a unique outlook on our European capital - from gastronomy to outings, from people to off the beaten path roads. Join us as we venture on a path full of culture and adventures, soon you will know it all ! Receive our newsletter and follow our social networks to be aware of all the news Geteatout (events, articles, contests ...).